Are you a Squirrel or a Crab? There are many short term onsite workers who come to the U.S. every year. They may be assigned through contracting companies like Wipro, TCS or may be in direct employment with a U.S. employer. Mostly these employees live in the U.S. for a few years until the completion of their contracts before heading back home. What do they take back with them in addition to their bag of gold or in other words the extra remuneration in dollars and the work experience on their resume? Granted these are the two things that will help them the most with their financial situation and career after returning to India. But what about the life experience? This might be a once in a lifetime experience for many folks, an opportunity to really spread their wings and embrace the adventure, to gain knowledge and understanding of an alien culture, lifestyle and outlook. Among the short term work and stay folks I have seen here, I have observed two different types. One that goes about joyfully discovering their new environs with the curiosity and enthusiasm of a squirrel going after a nut and the other group that just closes down completely and withdraws into its shell or comfort zone, living, socializing only or mostly with people from their own countries, eating food preparations mostly from their home country, mingling, sightseeing with friends from their nationality. These can be likened to I suppose crabs that move on the beach always ready to withdraw into their shell. The first bunch of folks often enjoy their life in the U.S. much more and take back with them many memorable experiences. Often they develop new culinary likes and dislikes, have a transformed sense of fashion, have enriching personal and professional connections and increased confidence with the knowledge that they have successfully charted new territory and thoroughly enjoyed it. Their heightened confidence comes with the knowledge that since they have prevailed over their new conditions they have more options in the world and their career choice need not be geographically limited. They feel at home everywhere because they have embraced a new terrain and made it theirs. Let us explore the other dear animal a bit more- the lovable crab that loves its comfort zone and withdraws into its shell at the slightest threat - real or perceived and why it may not feel motivated to leave its shell. These are folks who love the familiarity and comfort of what they are used to. The lack of motivation to step out may stem from the belief that a new country is only a temporary residence and ultimately they will be going back home. So why bother? They may not acclimatize to American food and may not enjoy it very much hence shutting it out completely and developing reluctance to trying out anything new. They may also think it is not worth spending their hard earned dollars on frivolous ventures like dining out or buying the latest fashions in American clothing. They may also have problems communicating in a new country because of differences in culture and language accents. Hence their experience of communication may not be a joyful one thereby putting them off from any further efforts. It is the less challenging path that they choose as it is always easier to mingle with your own kind. Office luncheons are quite famous where groups of Indians get together with homemade lunches and sit together to have their lunch often sharing and commenting on the various dishes that their spouses may have put together for them. This is truly a continuation of the great Indian tradition of having meals together while relishing and enjoying the flavorful and meticulously cooked Indian dishes. So these islands of Indian-ness are found in the vast sea that is America, where people from back home may cluster together to feel at home and enjoy everything that they miss from home. And nothing wrong with that! Home has that warm, cozy, magnetic quality and who wouldn’t miss being surrounded by loved ones, your culture and food you grew up with? But closing your eyes to the view outside the window and choosing to look only inwards can indeed be a very limiting way to live life that has so much variety and flavor to offer. A stroll outside the home could be very refreshing indeed. And who knows you may even develop a liking to a daily walk! 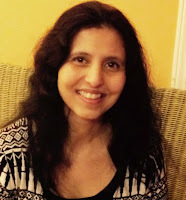 Author Urvashi Pande is a freelance writer based in the United States. 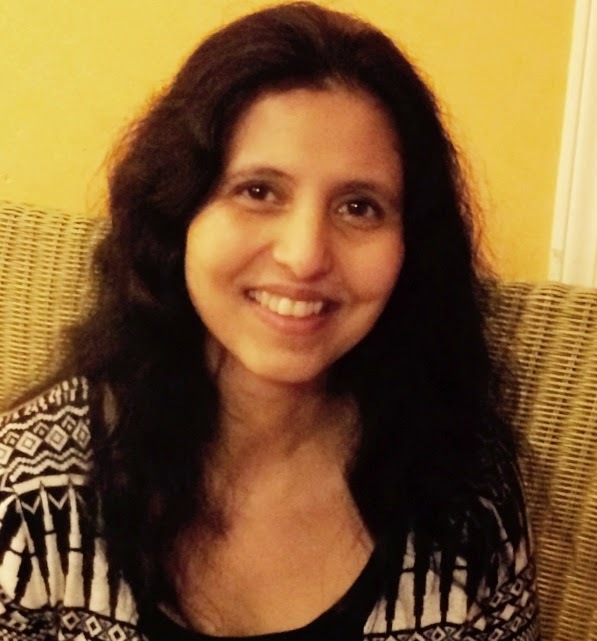 Having pursued a career in Finance for 10+ years, she also enjoys writing for fun and for work. Contact Urvashi though the Authentic Journeys contact page. Urvashi has written Mission R2I previously on Authentic Journeys. What's it Like to Go Out to Eat with American Colleagues?